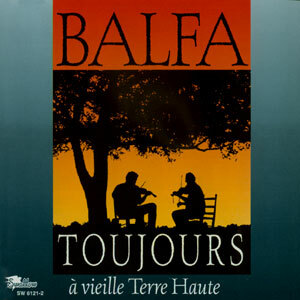 “Balfa Toujours” means “Balfa Still & Always” and you can be sure that brilliant musician Christine Balfa will always make sure that it is so. Christine is the daughter of the late, great Cajun fiddler Dewey Balfa, who certainly needs no introduction. She and her group of musicians is known by many as the future of Cajun music, and you need but to listen to one of her songs and can tell that they play it straight from the heart. Since coming together after Dewey’s passing in 1992, Balfa Toujours has grown from a band known for its youth and passion into pillars of the traditional music community not only in Louisiana but throughout the folk music world. 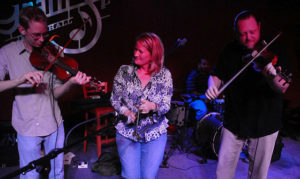 The group includes Christine, as guitarist and primary vocalist; her husband Dirk Powell, who plays accordion and second fiddle; Kevin Wimmer, lead fiddle; and Courtney Granger, fiddler, bassist, and singer. 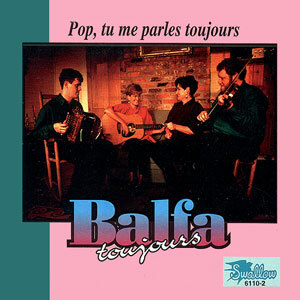 They sometimes expand the group to give Balfa Toujours that big band sound, rounding up other members Burkeman Balfa, Nelda Balfa, Craig Guillory, & Todd Aucoin.